A little while ago an acquaintance voiced the opinion that blogging is a solitary pastime “It’s hardly a social event; you need to get out more!” An interesting perspective, but not one I subscribe to. This man misjudged my situation, implied I am lonely and assumed that blogging fills that void. He was wrong, I am not lonely, but blogging does fill a void, and for many of us it’s simply boredom, especially following retirement from a role that almost filled every waking hour. I mentioned I’d met some very interesting people online, people I hold in high regard whom I now consider to be my friends. Blogging has also fostered a close relationship, but I didn’t tell him that, I wasn’t about to discuss my private life with him. For some, blogging definitely assists in warding off loneliness, and that can only be a good thing. A couple of my WP colleagues publish new posts umpteen times a day and freely admit that blogging has become an obsession, an addiction. They didn’t need to tell me any of this I’d already noticed; it’s like being with someone who won’t stop talking! 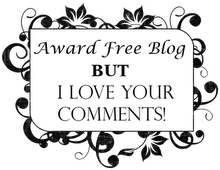 As some of you know I’ve just had a little break, my posts were written in advance (or re-blogged), and I hardly touched my WP e-mail account, therefore please accept my apologies if I was unable to answer or comment on your blog. Right now, sitting in front of my computer I am taking the bull by the horns and hitting the ground running. My WP inbox is crammed with notifications of new posts and some with pictures of flowers, lots of them! I’m fond of flowers, and occasionally I showcase my own floral photos as I have here. I particularly enjoy receiving them. Nonetheless, if a number of my friends were to send me flowers, and each of them dispatched those flowers several times a day, my home would resemble an overstocked flower shop, and I would very quickly run out of vases! My WP inbox is a little like that, so I hope you’ll forgive me if I don’t respond to each and every flower. As long as one doesn’t neglect one’s personal-contact friends and family in favour of those found online! I’ve seen that happen. You’re right Les, and although I half joked about it, in truth it concerns me that for many it has become an addiction. Welcome back, Sue. My perspective on blogging is that it is a hobby, sometimes a challenge and always a way to communicate. I love the interaction with people I would never have met otherwise. Thank you Maureen. I’m with you, it’s a hobby and the interaction with people from around the world is a bonus I didn’t expect. That man does not get blogging at all! I look forward to reading everyone’s posts in the morning, going to work, and seeing what transpired while I was a slave to my job. 🙂 It is fun. You can put as much or as little as you want into it. Hope you had a fun break, Sue. Good to see you back. And lovely flowers, too!